Back in the 70’s, at the University of Wisconsin-Madison, when my hair was halfway down my back, when Robin Yount was truly ‘the kid’, when Pink Floyd was on tour, and when a “google” was a drunk giggle,– ‘homegrown’ had a different meaning for some of us than it does now. With the passing of time, things have changed. We have grown up, matured and now refer to homegrown as those fabulous, flavorful Wisconsin grown tomatoes. You can’t beat them. The same goes for homegrown sweet corn. It’s the best. No one would argue with that. When it comes to nursery stock, it’s not so clear cut. First off, clients don’t usually know if what they are buying is homegrown or not. It is not as easy to distinguish which plants came from here or were shipped in from who knows where. Even at our nursery it is not always clear to our salespeople which is which. We do both. To be perfectly honest with you, in many cases it doesn’t matter. Kind of like carrots or onions, most of us wouldn’t be able to taste a difference between locally grown and bought in. But tomatoes,–come on—there’s no comparison! In some cases, locally grown nursery stock makes all the difference in the world. This is one of the reasons why our nursery decides to propagate and grow certain plants. The plants that are available to buy can be significantly inferior to the ones we can home grow. This is especially true with items grown from seed for field production. Our native Swamp White Oak (Quercus bicolor) is a perfect example. When we purchase starter plants (liners) from producers elsewhere in the country, trees typically have problems with alkaline soil induced chlorosis. The leaves turn yellow in our soils with pH readings from 7.2-7.8. To top it off, the growth rates become ridiculously slow. Sometimes less than 50% of the crop can be sold. When we produce homegrown stock from acorns that we select and screen for chlorosis as babies, our percentages of salable trees typically goes to 90% or higher. (See pictures below) In addition, our clients have much greater success with our Swamp White Oaks establishing in their yards. Left: Quercus bicolor in the nursery with alkaline soil induced chlorosis (yellowing). These trees came from acorns off of trees from another part of the U.S. | Right: Quercus bicolor hybrid trees (Q. x schuttei) from homegrown locally collected acorns. These were screened for alkaline soil tolerance as youngsters. Another example of homegrown superiority is Ironwood (Ostrya virginiana). In the past, when we purchased liners from outside producers, we ended up with trees that were not sufficiently hardy for our area. The seed provenance (the genetic origin) of the trees was not known but was likely from an area considerably south of Wisconsin. Genetically, the trees we purchased were designed by nature for a climate with much longer seasons and much milder winters than ours. Trees which we have produced from our local seed sources perform beautifully in our nursery and in the landscape. Plants from different seed provenances can also have variable ornamental characteristics. The Wisconsin ecotype of American Filbert (Corylus americana) that we grow at Johnson’s Nursery has beautiful fall colors, mostly oranges and reds. Those from eastern seed sources sometimes only turn yellow at best. Homegrown is definitely better in this case. Local Corylus americana with beautiful fall color. When dealing with clonal plant material (cultivars), buying local is not as important but still can be very helpful when you are specifying plant materials that you are not familiar with. Predictability of ornamental and cultural characteristics will typically be uniform throughout the crop. The advantage to buying local cultivars is that the producer is successful in getting a plant to size under your same local conditions. This should give you a good indication that the plant will survive in your prospective landscape. At Johnson’s Nursery we are constantly trying new plants to diversify our product line. Some turn out to be great new plants and others have problems that we only learn about by trialing them. Left: Picea glauca ‘Conica’ suffered winter burn throughout the Milwaukee area in the winter of ‘13-’14. | Right: The little known Picea abies cultivar ‘Will’s Zwergform’ had no winter burn in the winter of ‘13-’14 at the nursery. Feel free to ask us about plants that we don’t have listed for sale. Often times we have tried them and been unsuccessful for some reason or other. We’d be more than happy to share this information with you. If there is some plant you are itching to know about, you can contact me. At Johnson’s Nursery, an extensive line of native plants is produced from locally picked seed. We are participating in an effort by a number of environmentally conscious people in our area to help preserve and use as much of our local native plant material as is economically beneficial to our business. By doing this we are helping support the ecology of our region. Homegrown at its finest! I like to think of ourselves and our businesses as just another component in our ecosystem. When you think of it like this you realize how important all of us are to each other. 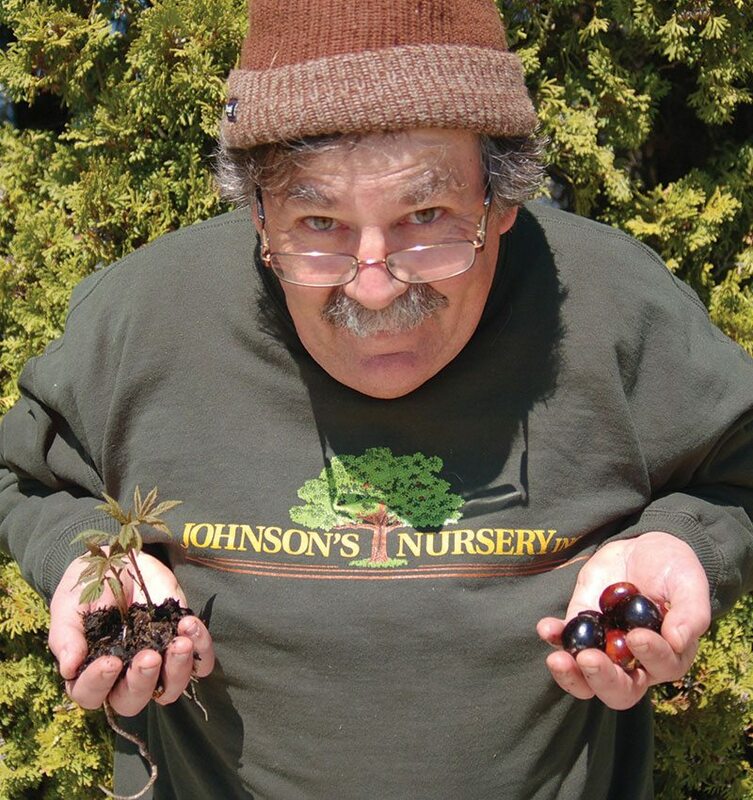 Our job is to provide you with the best plants we can grow here in Southeast Wisconsin. We want to help you help your customers so that you will help us by buying our plants. Your company and ours, along with all of our employees, end up pumping more money into the local economy. It is very similar to what happens in a natural ecosystem where organisms depend on each other for various services. Because we are in the same area, we have more insight and understand each other’s problems better than those who are not dealing with our geographically specific obstacles. If you lost a plant out on a job over the winter due to climactic circumstances, chances are we had the same thing happen in our nursery. We can help you understand what happened. If you have a problem with a plant that we sold you, it is possible to come over and talk to us in person if you’d like. We’re right here in the neighborhood. For me personally, buying local has always been something I’ve appreciated. I enjoy knowing the person that baked my bread or grew my sweet corn. I really like talking to them about what they do and how they do it. It’s fun meeting my dentist’s kids and seeing how much they look and act like him. My lawyer is one of the nicest guys you’d ever want to meet, except in court! He has four kids and loves taking them on walks in the park. He’s the youngest of 17 children and his mother still remembers his name! It’s great when you can have a relationship with the people you do business with, when you can get to the point where you understand why they do things the way they do. Buying local is about getting to know your neighbors and being a part of a community. 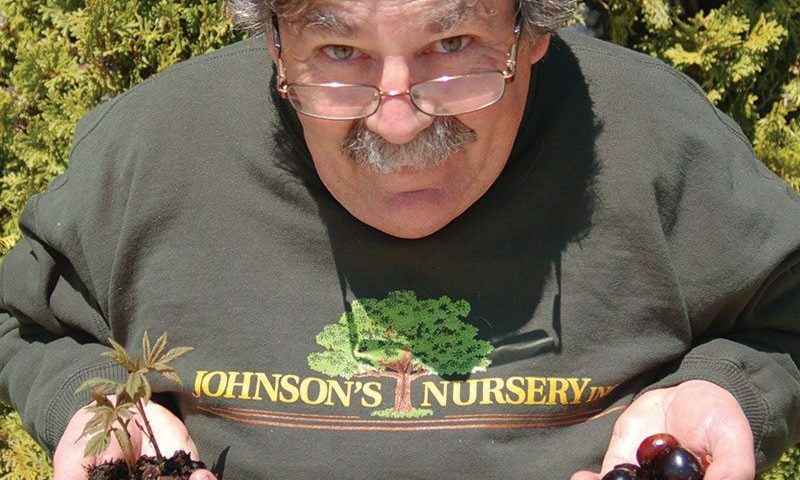 We at Johnson’s Nursery certainly appreciate your business and enjoy knowing you and helping you. We are proud to be a part of the community and look forward to getting to know all of you more in the future.